What is You Can Reach Everyone? You Can Reach Everyone is one of the largest contact mailers on the net. It combines a mailer with huge advertising exposure and a unique money maker called Money Twister. Can I Join You Can Reach Everyone Free? Yes you can join YCRE Free. You will not be able to use the mailers but you will be able to add 2 ads to our unique Ads Hops traffic generator. Yes all membership levels will find an affiliate link in their members area. What Levels Can I join at? Copper is a free membership. Nickle, Silver and Gold-Founder give you access to the huge You Can Reach Everyone mailer of over 625,000 members. Who Owns You Can Reach Everyone? And you read all about Jane and Phil here. Money Twister is a downline builder where you can make sales in some of the best known programs on the net. But there is a very unique feature at You Can Reach Everyone. Nickle, Silver and Gold-Founder members can actually add up to 3 of their own programs to the Money Twister. This is great exposure for any site that you are promoting online. We can pay your commissions by Paypal, Solid Trust Pay or by check. You can enter your payment details in the members area of YCRE. You get paid every Friday for any sale you have made that is at least 1 week old. Your Sale must clear over a 7 day period so, if you make a sale, on Thursday of one week that sale will be paid in 8 days on the following Friday giving the sale at least 7 days to clear. Ad Hops is a unique way to bring lots of traffic to any site that you want to promote. Depending on your membership level you can enter 2 to 10 ads of your own into the ad hop system. Then you can make your ads jump to the top of the system simply by reading other people's ads. Not only is this a great way to get your ads seen on a site with heavy traffic but it great fun to watch your ads hop to the front of the pack. Detailed instructions are available in the members area of You Can Reach Everyone. Can I Buy Ad Hops? A Feature ad is one of 5 ads that rotate at the top of all of the Ad hops and are always seen at the top of the ads. How Much Does It Cost To Upgrade at YCRE? There are 3 paid membership levels at YCRE. These prices can go up at any time. like Your Order is Ready or Thank you for Your order or We just paid you or You just got paid. Any kind of misleading subject line or ad content can subject your account to suspension without notice or recourse. You also cannot send out any hate filled ad or ads that sell illegal items or that are designed to induce hate and or violence. If you run a legitimate online business and or are promoting a legitimate product, you do not need to try to fool people. Just don't do it. It will ruin your reputation and can result in the suspension of your account at YCRE. Treat your readers as you would have them treat you. How Can I Pay For My Upgrades at YCRE? 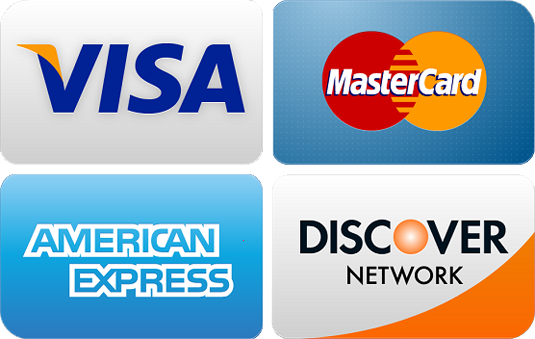 We accept all major credits cards as payment for your upgrades or ad purchases. If you do not see the answer to your question if our FAQ section, please contact us through the support desk located on the main page of YCRE. Are Any of The Upgrades One Time Payments? Yes, The Gold-Founder Membership is a one time payment. It gives you the most bang for your buck. You Can reach 15,000 list members daily and there is nowhere else on the net that we are aware of where you can do that. The Gold Founder membership is the best bang for you buck. What Does The CountDown Clock Mean on The Sales Page? It means that any or all of the upgrade prices may increase once the count down clock has expired. It is wise to lock your price in now. No We have annual or one time payments only. The Gold-Founder membership is a one time payment. and pop your ads in there.